Since August 2013, the Gächinger Kantorei Stuttgart has been under the artistic direction of Hans-Christoph Rademann, the director of the Internationale Bachakademie Stuttgart. 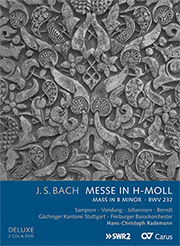 Under the patronage of the Bachakademie, the choir plays a decisive role in a wide range of concerts, guest performances and recordings for both radio and CD. The center of the choir’s activities consists, in addition to its manifold activities in the MUSI KFEST UTT GART , of a large concert series with oratorio programs ranging from Schütz to commissioned contemporary works. 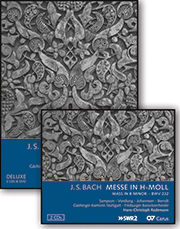 The interpretation of vocal works by Johann Sebastian Bach has always been a special focus of the choir. The Gächinger Kantorei Stuttgart, which is named after a small village in the Swabian Alb and was founded by Helmuth Rilling in 1954, has ranked as one of the outstanding concert choirs of the world for decades. 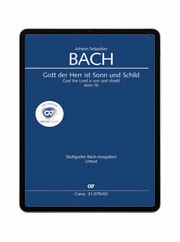 In addition to regular performances with its partner ensemble, the Bach-Collegium Stuttgart, the choir frequently works together with orchestras such as the Vienna Philharmonic, the New York Philharmonic and the Israel Philharmonic. 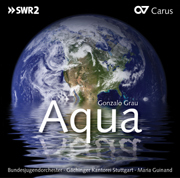 It also has a particularly close relationship with the Stuttgart Radio Symphony Orchestra of the SWR. The choir is regularly conducted by guest conductors such as Masaaki Suzuki, Krzysztof Penderecki, Alexander Liebreich and Sir Roger Norrington. Guest performances have led the ensemble to, among others, China and Latin America, as well as to the large festivals Salzburg, Lucerne, Prague, New York, Paris, London, Vienna and Seoul. 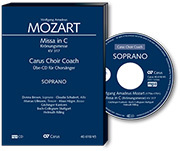 The choir has recorded hundreds of CDs which include Bach’s complete vocal works, diverse 18th century oratorios as well as several world premieres including works by Penderecki, Pärt and Rihm.